However, in Spanish, the present continuous is only used to describe an action that is being carried out. It is not used for future actions. Esteban: Alba, what are you doing? Alba: I’m writing the summary of a book. It’s my homework. Normally I always do grammar exercises but today I am doing different activities. I like to write, besides reading. Esteban: I also like to read. I often read science fiction novels (I’ve always liked stories with spaceships and characters like Martians), but now I’m reading a biography about the most important writer in the Spanish language. Alba: Are you really reading the life of Miguel de Cervantes? I also know his life story. He is a man who was born in Alcalá de Henares, he served as a soldier and even lost a hand in the battle of Lepanto. That’s why we know Cervantes as the Manco de Lepanto. Esteban: It’s not entirely true. He did not lose his hand but it ended up useless after a serious injury. Alba: You know so much! Esteban: Yes, I’m learning a lot because I’m also reading in Spanish. I’ve told you that I normally read science fiction, but I’m also starting to read plays, historical novels, fantasy fiction, etc. Alba: I usually read poetry but I am enjoying detective novels a lot because they are easier to read. Of course, when I have time, you know that every day I am busy except for yesterday. Alba: Because yesterday I got up at eleven o’clock, I had breakfast quietly on the terrace of a bar, I paid for breakfast and I walked calmly through the city. Then I ate at a friend’s house and together we watched a movie. Last night I returned home, connected to the internet and looked at the email. I had a pizza and went to bed at twelve. You spent all day on the beach, right? Esteban: No, I did not leave the house all day. Alba: You didn’t? And why are you redder than a crab? Esteban: I fell asleep on the terrace of my house in the sun without sun protection. GRAMÁTICA: A verb in the present with estar + gerundio. Sin embargo, en español, el presente continuo solo se usa para describir una acción que se está llevando a cabo. No se usa para acciones futuras. To form the gerund of regular verbs -ar, add -ando to the root of the verb. To form the gerund of verbs regulare -er: e -ir, add -iendo to the root of the verb. There are some -ir verbs that change their root, change e> i and o> u, and then add -ing to the root of the verb. Ivan is reading a novel. The guests are eating the dessert. Remember that I would never use the progressive present to say something like “He’s going to Paris this weekend.” Use the present continuous only for actions that are “in progress”. 1- What is Alba doing? She is writing the summary of a book. She likes to write, besides reading. 2- What does Esteban like to read? He likes to read science fiction novels. But now he is reading a biography about a Spanish writer. 3- What does Alba know about the life of Miguel de Cervantes? He is a man who was born in Alcalá de Henares, he served as a soldier and even lost a hand in the battle of Lepanto. 4- What does Esteban think about the information given by Alba? He thinks that Cervantes did not lose his hand but it ended up useless after a serious injury. 5- What is Esteban starting to read? He is beginning to read plays, historical novels and fantasy fiction. 6- And what does Alba read? She usually reads poetry but is enjoying detective novels a lot. 7- Why is Alba reading crime fiction? Because they are easier to read. 8- What did Alba do yesterday until noon? She got up at eleven o’clock, had breakfast on the terrace of a bar, and walked around the city. 9- What did she eat and what time did she go to bed? She had a pizza and went to bed at twelve. 10- And why is Esteban redder than a crab? Because he fell asleep on the terrace of his house in the sun without sun protection. 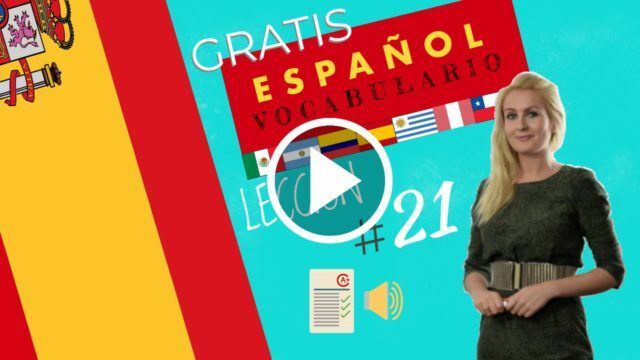 11- A verb in the present with estar + gerundio in Spanish. A comprehension exercise in which you have to choose the correct answer with true or false. An exercise of vocabulary practice in which you have to drag and drop the word you have chosen from the list and paste it in the right place. Grammar exercise in which you have to fill in the empty boxes with the correct answers. B2 First Reading Skills and Use of English 11 with examples. May 23, 2018 Comments Off on B2 First Reading Skills and Use of English 11 with examples.